The Blue Barracks Room, all set and ready for #M4M2016 Judges and participants! Thanks Bernardin for continued sponsorship! nine pastries baked with marmalade? 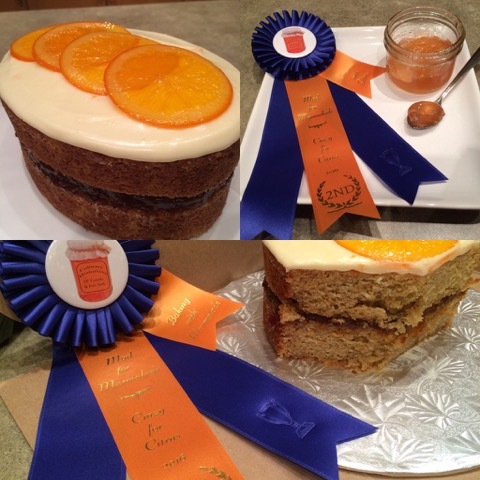 On Saturday February 20, 2016 that was case at the Mad For Marmalade Competition, which was renamed as the Redpath Marmalade Competition. The Marmalade Competition Judging Room was buzzing with Marmalade Love. This event was a part of the 9th annual Mad For Marmalade, Crazy For Citrus! presented by Culinary Historians of Canada (CHC) in partnership with Fort York - National Historic Site and the Aga Khan Museum. The 2016 theme was Citrus in the Persian Kitchen! I have grown up with an appreciation for marmalade thanks to both parents working at different Canadian/Chinese diners in Toronto in the early 1950s, as their respective diners served homemade marmalades with toast. That love for all things marmalade turned into leading hands-on Marmalades With Asian Twists workshops at the Mad For Marmalade, Crazy For Citrus! in 2008 and 2009. Over the years, I turned my marmalade love to appreciating the different flavours of Persian culture, and was excited upon joining the planning committee in June 2015 with CHC and Fort York to work on this event. Volunteering as the 2016 Redpath Marmalade Competition Chair includes long hours of meetings, going behind the scene and more. But it can be totally fun and rewarding when the big event finally arrives! There's nothing like standing in the hallway with all eight judges, and hearing them chat. The energy! The excitement! You should see the loads of hugs and warm greetings when we spy the much beloved Elizabeth Baird, as she arrives early for her workshop. Then it's Naomi Duguid, our Keynote Speaker who arrives. Once we get the signal that it's time to go through the Main Lobby and head through the doorway into the Judging Room, all the judges stop chatting. It's serious business from here on. All the while, I feel like a “fly on the wall” while witnessing up-close eight amazing Canadian professionals in their own fields, go into the “Marmalade Zone” once it was time to march into the Marmalade Competition Judging Room from the little hallway adjoining the cloak room. The room went into a hush at first, then we started to hear murmurs as each judge begins to concur with their judging partner about the colour of the jars, the texture, the headspace, and more. The energy shifted as they slip into using different sensory modes to judge their chosen category. I wish there was an App for the heady aromas of the various jams, jellies and marmalades as we all started hearing the distinctive pop of the perfectly processed jars open. Immediate olfactory responses of sighs and swooning were witnessed. What a rich experience to see the varying facial reactions as each jar popped open. Each of the below listed jury members were amazing. What a memorable experience of tutored tasting with all of the senses coming alive! Each judge took their time in writing down thoughtful and helpful tips for many entrants and even graciously shared some more tips during the Awards segment of the event. Once each pair of judges were done with their category, we saw the top three jars (or cakes) in ranking ordering for the other jury members to judge. Once the jury panel concurred on the top three of each category, then first place winners of category were selected. Moving the three top jars to the designated table by a window, allowed all the judges to marvel at the gem-like quality of the jars as sunshine shined though the window. We witnessed a brilliant way to test the top three finalists: a spoonful of each jar on a small vintage plate. This permitted a much closer side-by-side scrutiny of the depth of colour, the texture, the finesse in cutting, etc. Of course, more tasting takes place plus a Marmalade Competition Judge group selfies after being pumped with so much sugar. Bravo to each of these busy professionals willing to volunteer their precious time on a Saturday! A heartfelt thank goes to Daphna Rabinovitch for saving the day with the unforeseen last minute cancellation of another judge just the night before the big day. Fans of Canadian Living Cooks loved having her back during the Awards ceremony. Here’s the jury panel that helped judge the fabulous 39 entries. * Christine Manning a returning judge and proud owner of Manning Canning. * Yvonne Tremblay, five-time Grand Champion Jam & Jelly Maker (The Royal Agricultural Winter Fair) and author of Prizewinning Preserves, 250 Home Preserving Favorites and Thyme in the Kitchen. * Daphna Rabinovitch, Freelance Food Consultant, Food Writer/Editor/Recipe Developer. * Emily Richards is a highly experienced and well-regarded Professional Home Economist. Her newest cookbook, shares her family’s Italian culture. * Alison Fryer was a fixture at the helm of the seminal The Cookbook Store for over thirty years. Since the store’s closure in 2014, Alison has been teaching at culinary schools, on the lookout for the next wave of culinary talent. A longtime judge of major international cookbook awards. * Robert Henderson is the 2015 Grand Champion Jam & Jelly Maker and First Place winner in Heritage Jams (The Royal Agricultural Winter Fair). Owner of Henderson Farms, on Wolfe Island, he has been making and selling 50 different flavours for 30 years.He sells at the Kingston Farmers Market 3 days a week for over 25 years and do juried craft shows in Ontario, One of a Kind; Quebec, Salon des metiers d’art; and Vancouver, One of a Kind. * Pastry Chef Kyla Eaglesham is owner of Madeleine (a Bespoke Pastry Production Kitchen in Toronto). 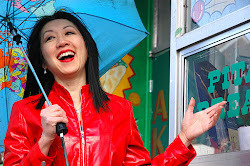 * Mary Catherine Anderson is a culinary instructor and freelance chef in Toronto. She has been teaching preserving, as well as other courses at St. Lawrence Market, for Aphrodite Cooks, Nella Cucina, the LCBO and the TDSB. Congratulations to Genevieve Shave, who once again entered this year, and this time she wins the Judges’ Choice and 1st Prize in the Citrus Marmalade category for her Scotch Marmalade! Made from my Great-Grandmother’s recipe. As many from her generation, she found recipes and wrote them down in her own cook-book. She never mentioned where she found the inspiration for this recipe. She used to make and give this marmalade every year at Christmas for decades of her life. Since she passed away over a 10 years ago, my Grandmother found her recipe, attempted it a few times, and gave it to my Mother who carried the tradition for a few the years as well. Ever since I was old enough to safely make it in 2005, I have been keeping the annual tradition alive. My Great-Grandmother didn’t drink whiskey, so the only whiskey she had in her house was a single bottle that she would use for this recipe, so she didn’t experiment much with types of whiskey, and how it may strongly affect the marmalade outcome. I have experimented, and O have found a particular Blended Scotch Whiskey that seems to carry a subtle, but incredible flavour to the marmalade. I would like to congratulate everyone who entered as every single entry was a worthy one. The complete standings are listed below. Lest anyone felt downhearted about their results, we had one entrant who placed 1st in one category and then much lower in another category! I don’t know about you, but I am feeling inspired to make some more marmalade or even try baking with marmalade I have already made in the last few weeks. The Weather Network is predicting that another snow storm is headed for southern Ontario. Perhaps, another chance to test a jam, jelly or marmalade recipe and then share the Marmalade Love with loved ones? Mark the date! The 10th annual Mad For Marmalade, Crazy For Citrus! Saturday February 18th, 2017... See you there!